The first International Marathon “Alexander the Great” was established on the 16th of April, in 2006, as a result of the perspective of people who represented athletic and cultural institutions all over Greece. It aims for the promotion of a healthy lifestyle as well as the increment of life quality. The 13th International Marathon “Alexander the Great” had the participation of people of all ages, genders and nationalities, yesterday morning (1st of April). There were three racecourses: the main Marathon, 10 km, and 5 km. 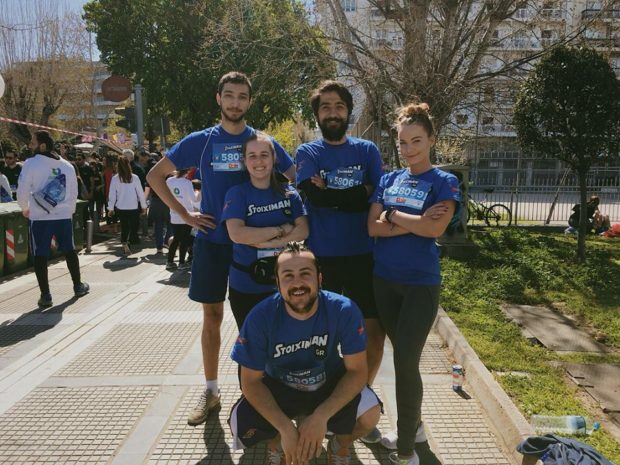 Since our team of volunteers were not properly trained, they participated in the 5 km racecourse in order to represent United Societies of Balkans and the Balkan HotSpot project. I noticed, during the marathon, that people enjoyed a lot, especially the communication before and after the marathon. The globalization process gradually separates people, due to the overuse of social media apps, so people should turn back to communicate with other human beings and chat to one another face to face, understand their feelings and emotions by seeing gestures and mimic, and to make conversation in a natural way. Since it is getting harder and harder to bring people together because of the negative impact of technology, it is in these days that people should consider to make time be part of social communities and institutions, as a way to feel how united people can decrease social issues, conflicts and similarly. In this regard, I can surely say that the marathon already addressed to social mobilization by creating this event and it has completed one of its main missions – to make people gather and socialize. Balkan Hotspot would kindly like to thank all the people who joined efforts to make this event happen and to all who participated.